I am happy to share with you the Official opening of the Association "Elisabeth Empress of Austria - Queen of Hungary (Sissi)". I create a Facebook Group call : Club admirers of Elisabeth of Austria - Hungary (Sissi or Sisi). Well if you love Sissi and if you are in Facebbok, adding you in the Club, you are very welcome. Really, Nobody have pictures and info about Countess Potocka ? In the the book " les secrets de Mayerling" de Jean des Cars, the autor talk about Migel of Bragança who is promise to Mary Vetsera at the time she met Rodolphe. But who is "this" Miguel of Bragança ? Can you help me ? In the Same book JdC tell that is the brother of Archduchess Marie-Thérése, but "this" Miguel was married to Elisabeth of Thurn and Taxis and after is death with Thérése of Lowenstein... that is possible ? Thank for your help ans sorry for my bad english. Does anybody have info and picture of this Baroness ? (Empress Sissi goes to her castle a day before her death). Thank you so much José. And her Brothesr, Sisters and Parents, Any Photos ? 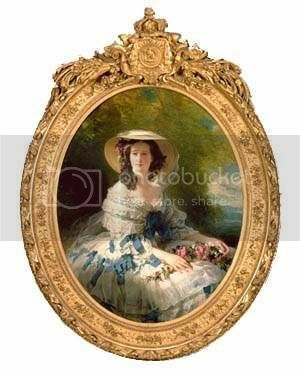 I'm searching pictures' and photos of the last wife Franz II and Sister of Archduchess Sophie: Caroline Augusta . Does anybody have photo of the " old" Empress. I've juste found picture of her but not photgraphie. I'm working on "all " the sisters of Archiduchess Sophie. Can you hepl me, please. And Countess Potocka, who is she ? does someone hve pictures of her ? I like to know who are exactly all the mistresses of Napoléon 1er ( I just Know Maria Walewska) and Napléon III ( I know Comtesse de Castiglione). Can you help me ? Thanks Marie Charlotte and Crazy Wing.